What are my Options at Retirement ? There are many ways that you are able to take an income from your accumulated pension funds when you reach retirement and the different options can be confusing. Annuities and Income Drawdown are two of the more common options. 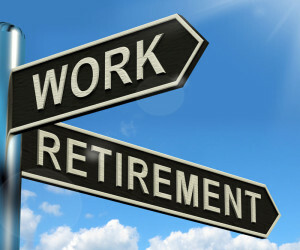 Traditionally, the options available to you at retirement were limited to a Scheme Pension or Lifetime Annuity and latterly Income Drawdown, however over time many more flexible arrangements were introduced to enable benefits to be taken in the most appropriate way to meet each individual’s specific requirements. Should I take an Annuity or Pension Drawdown? Each option has its particular advantages and disadvantages. Our Retirement Options review will clearly explain the choices available to you and help you make the right decision for your circumstances. The answers to the following questions will give us a good indication as to what is best for you. Do you require guaranteed income or can you afford to take a degree of risk in achieving your required income? What are your overall objectives? Income only? Tax Free Cash Only? High initial income? Do you have any other pension benefits or savings/assets that could influence what you do? Are you happy to make a decision now that you will have to live with for the rest of your life or do you require the flexibility to vary your income in the future? Do you have any medical conditions or lifestyle factors that may entitle you to an enhanced annuity? At Inshore we have specialists who are qualified to assess your personal circumstances and enable you to make decisions tailored to your retirement needs. The only way to know for sure is requesting a Retirement Options Review. For peace of mind, act now!